With his unique background in law, business, and construction, Courtney Little serves an invaluable role as owner, president, and general counsel of ACE Glass Construction. With his experience in construction and real estate law, Little, a graduate of the UA Little Rock William H. Bowen School of Law, said he has become a “source of information for construction people who need legal help.” He enjoys serving his community and is the current president of the American Subcontractors Association, a former member of the UA Little Rock Foundation Board, and a former member of the Dean’s Advisory Council at Bowen. Little considers himself a bit of a nomad when it comes to schools, citing the 17 different schools he attended growing up, including four colleges and law school, as evidence of his travels. While earning his bachelor’s degree, Little attended four schools in four years, including more than a year as a student at UA Little Rock. Little graduated from the University of Arkansas in 1995 with a Bachelor of Science in business management with a focus on finance. Even though his friends encouraged him to go to law school, Little said his head just wasn’t into law school at the time. He went on to have a successful career. He worked as the liaison between inside sales and architectural sales for U.S. Aluminum in Texas before returning to ACE in 1997. He then opened the Northwest Arkansas branch for ACE in 1998. Little made the decision to pursue law school after a near brush with tragedy in his family. He enrolled at Bowen in 2002, where he earned a Juris Doctor with Honors in 2004. Attending law school in Little Rock also gave Little the opportunity to gain clerkships that would be valuable to his future law career. In addition to the relationships he made as a law clerk, Little also credits the teaching style of Bowen professors for allowing him to make good long-term relationships with his professors and fellow students in law school. After graduating from Bowen, Little opened a private practice. A unique opportunity became available when a deal to buy his family’s company, ACE, fell through. Little closed his private practice in 2008 when he purchased ACE and was named president and general counsel. His parents started the business in 1986. 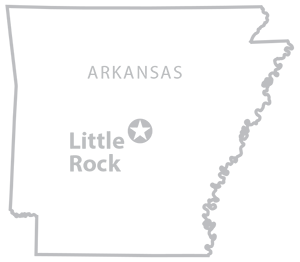 While originally just a construction company, ACE is now three companies with the addition of ACE Glass Manufacturing and ACE Glass Recycling. Under Little’s leadership, the company continues to improve and look for the latest technological innovations on the horizon. Little credits his law education with teaching him the skills necessary to handle any situation. Little and his wife Erika live in Little Rock with their son, Reagan, and daughter, Ella. 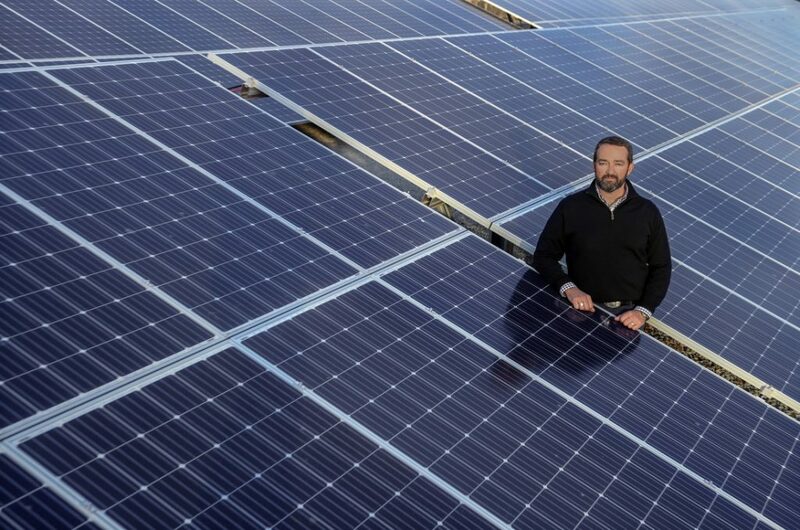 In the upper right photo, Bowen Law School graduate Courtney Little, owner, president, and general counsel of ACE Glass in Little Rock, stands in a two-acre solar array that supplies power to the business. Photo by Ben Krain.